Nicole Hemmer is a teacher, inspirational speaker and a writer with passion for spirituality and soul work. I met Nicole through Instagram, and she was just such a ray of positive light and inspiration right from the beginning, and such a kind and inspirering soul. 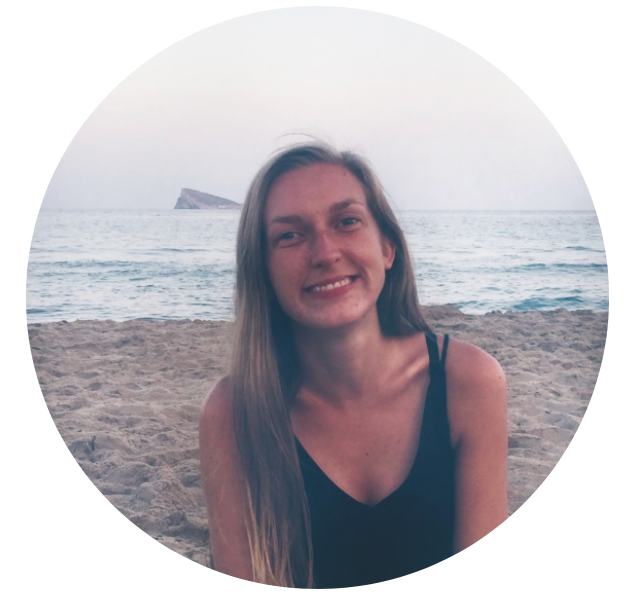 Nicole has been travelling around the world, doing soul work, and has worked with many people from all over the world mentoring them and guiding them. Nicole also just released her very first book, Soul on Fire, which you can read much more about in this interview. Please welcome, Nicole. Dear Nicole, will you tell us a little bit about yourself? Who you are and what you do? I am originally from Canada, lived in Europe the past 3 years and am currently based in Bali, Indonesia. I also traveled to 50 countries by the time I was 25 years old, and have had a strong fire in my heart for freedom and global transformation from a young age. I am a teacher, inspirational speaker, writer, women’s empowerment mentor, and author. 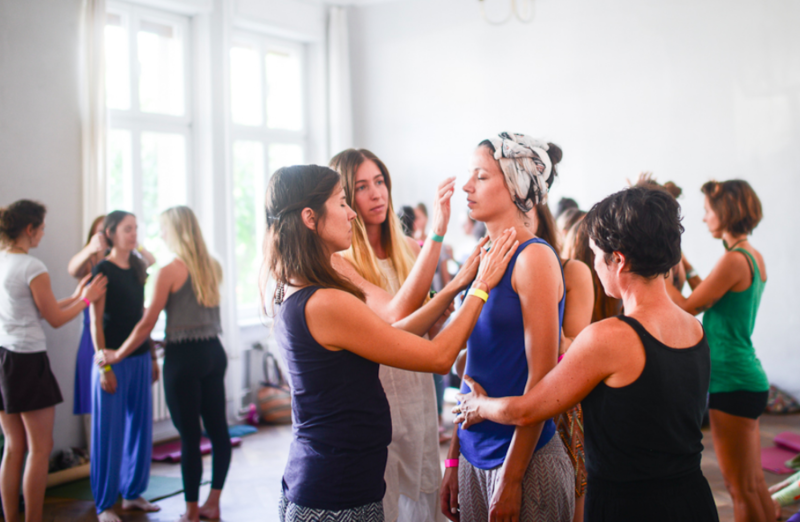 I’ve led international workshops, classes, sacred circle’s and retreats with hundreds of women around the world and did my Master’s degree in Transpersonal Psychology (the study of psychology, spirituality and consciousness). 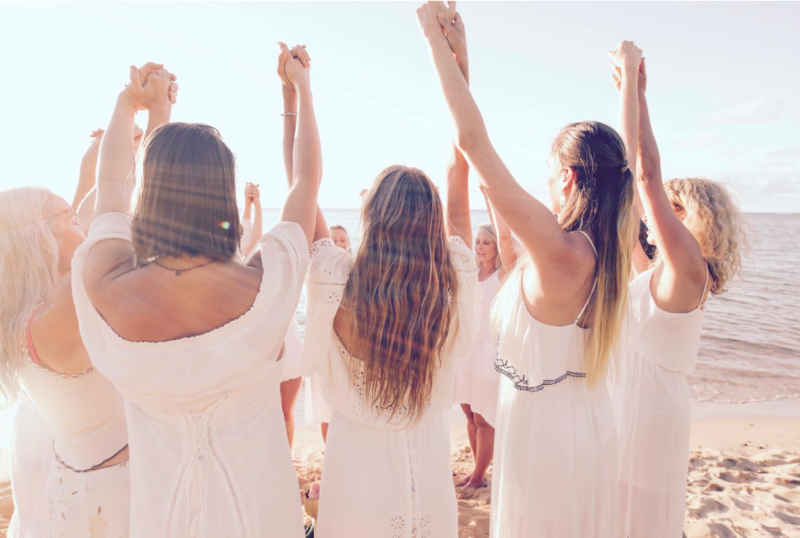 My passion and expertise is in inspiring women to step into their power, unleashing their soul’s voice in the world, soul embodiment and Divine Feminine Soul Leadership. How did you first become interested in spirituality? I first became interested in spirituality when I was 14 years old. 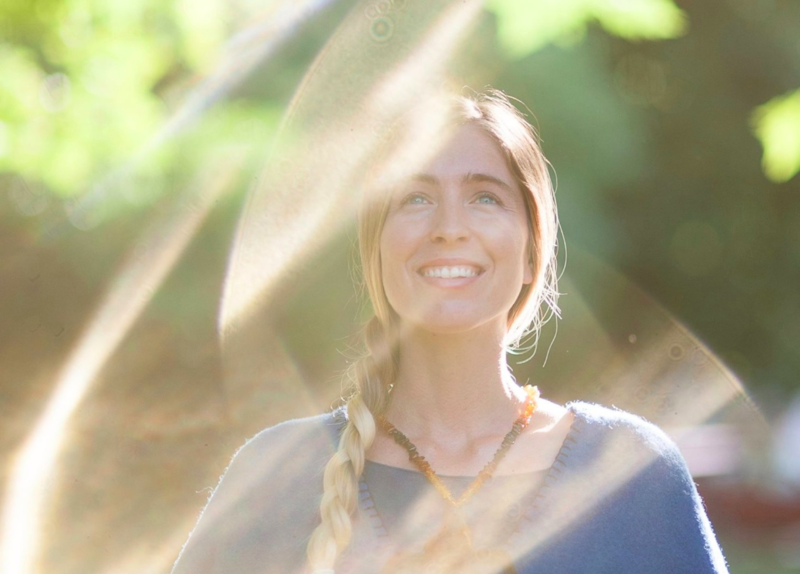 I felt a strong hunger in my heart for spirituality and knew that my reason for being on this Earth was connected to this, and was a core component of my purpose. I also started to do yoga and meditation at this age, and was reading books on healing, the chakra’s, intuition, psychic abilities, eastern philosophy and consciousness. My mother was also open to spirituality and introduced me to crystals, colour baths, hands on healing, and personal development. Which events in your life has completely changed your life? Moving to Berlin when I was 25 years old changed my life, and was the catalyst for me to start doing the work with women that I was initiated and called to do. Living in Japan when I was 22 years old also changed my life, and brought me back to my soul’s essence and taught me what it means to be a woman in her feminine essence. A paramount moment for me on my path was when my parents separated when I was 19 years old, and I entered a dark night of the soul period. During this time, I made the commitment to myself and vow that I would never allow any situation or circumstance to close my heart. I promised myself I would stay open no matter what throughout this lifetime, and always keep my heart open. To allow challenging and painful experiences to crack my heart open even wider, and allow pain and suffering to be the gateway to going deeper within myself…. What do you feel the world needs more of? I strongly feel that the world needs more love, presence and consciousness now more than ever. I feel that heart and soul aligned leadership in women is paramount in a time when the feminine has been denigrated and severely suppressed on the earth. Women need to step into their power and reclaim their voice. The earth is screaming for our help and support, and I feel it is my mission to be a beacon of expression for the Divine Feminine consciousness—to activate, ignite and initiate women into their soul and burning truth. What is your best advice for people dealing with self-doubt? Self doubt is derived from the small self—and is not our true nature. When we connect to our Higher Self, that is rooted in Divine Confidence, Divine Knowing and Divine Trust—we live in unshakable confidence true to our soul. When we embody and connect to our soul, it is rooted in love and truth. Our small self is controlled by fear, lack and self doubt. Everyday I place my hands on my heart when I wake up and when I go to sleep. I pray for people that come into my awareness everyday. I stay in an open state where I feel my inspiration and then take inspired action based on what I feel called to do. I love to spend time in nature. I love being in silence—for in silence I can feel and attune myself deeper to the wisdom and knowing of my heart. What are your favourite practices to raise your vibration? Some of my favourite practices to strengthen my energetic field is time in nature, time in water, and meditation. I also love aromatherapy oils and rose water spray. Living here in Bali, I love to go to sacred water temples for purification and cleansing..
Mary Magdalene, Elizabeth Haich, and Powerful Women Leaders of Light on this Earth that are fierce and true. You have just released your first book, can you tell us a little bit about it? The book contains transmissions and evolutionary adventures from my own journey, plus self-portraits captured during my travels around the world. My vision is by reading this book, you’ll receive an activation into your deepest truth and soul’s knowing. 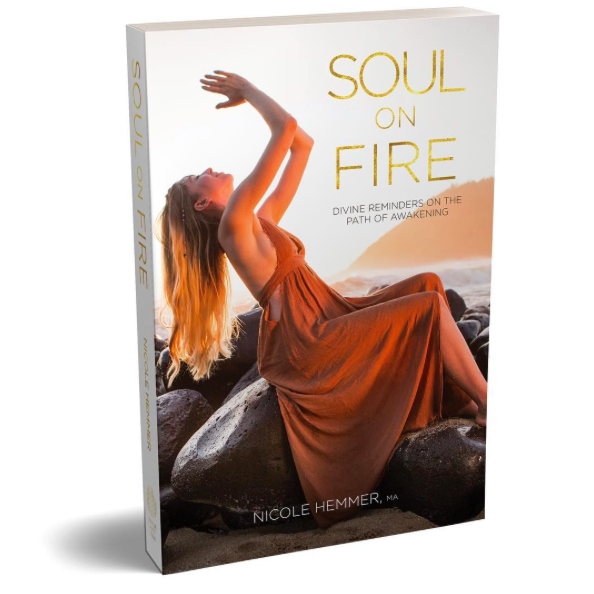 Whether you receive the words and images in this book as a meditation, or simply as sparkling soul musings, Soul On Fire will awaken, ignite and strengthen your remembrance and connection with the Divine in your own life. Some of the chapters included in the book are: Authenticity, A New Earth and Feeling the Future, Living the Extraordinary, Beyond Fear, Pain, Warrior of Light, Natural Wild Beauty, Sisterhood, Divine Feminine, Divine Masculine, Money and Abundance, Clarity, Mystical Knowing, The Higher Self, Inspiration…etc. Thank you so much dear for answering my questions, and for being such a beautiful soul sharing all your lovely wisdom and for bringing a higher vibration to this world! The book “Think & Grow Rich” by Napoleon Hill is a bestselling book, and I completely understand why – it is magical! 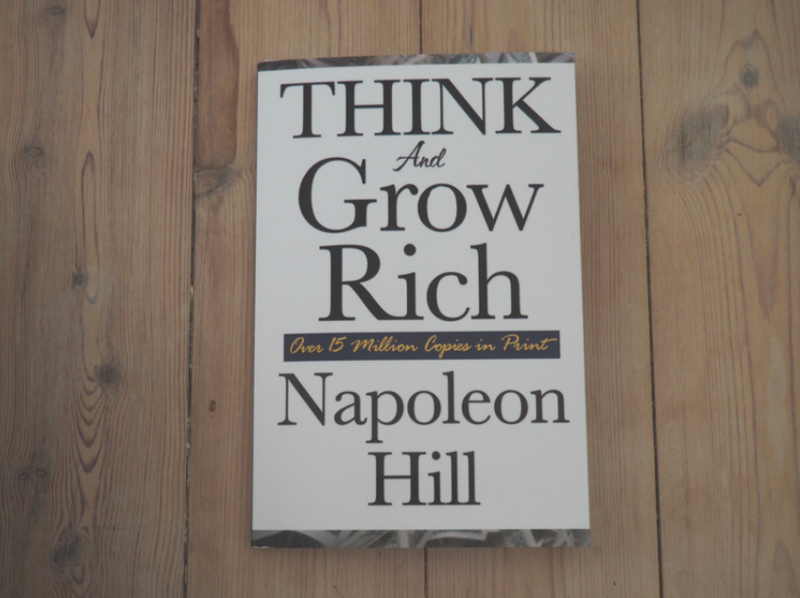 The book “Think & Grow Rich” by Napoleon Hill has quickly made it to the top of my favourite books. I highlighted so much of the book while reading it, because there was just so much gold in it. The book is primarily about money and how to accumulate riches, but it is also about so much more than just that. It’s about how to get anything in life. This book is one of the front-goers for the whole ‘manifestation’, ‘law of attraction’ phenomenon, and it is so inspirering and motivating to read. It’s about how you can achieve anything, if you believe you can. As usual, I don’t want to say too much about the book, because I think you should have the experience of reading it. But I will say that it is life-changing, and that it can really shift your perspective on life. Below I’ve shared some of my favourite quotes from the book. Win the book: I’m currently having a competition on my Instagram where I will give away 3 copies of the book. 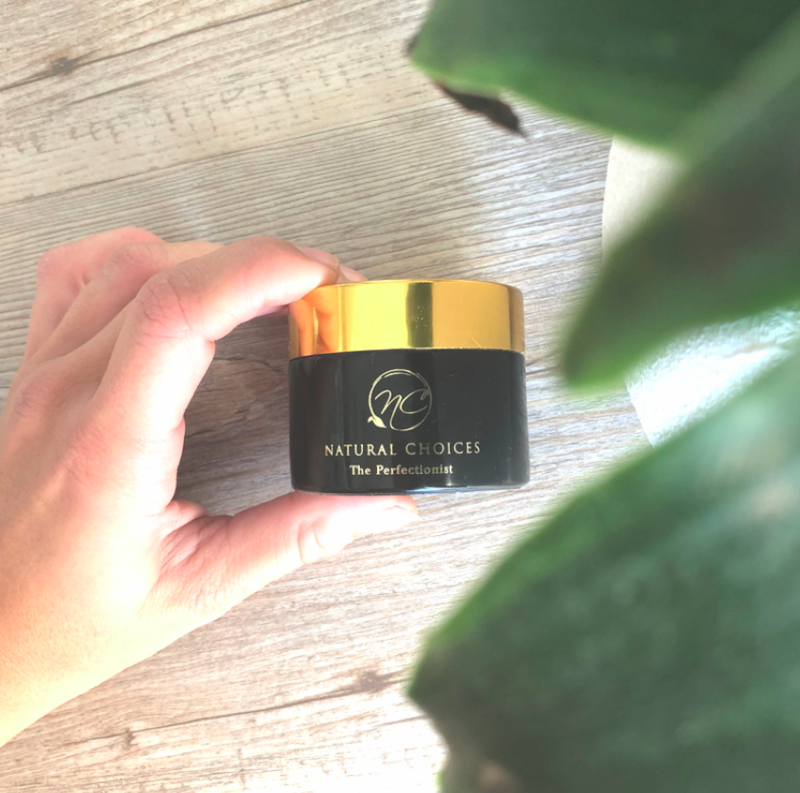 Click here to come to the competition, and enter by commenting on the Instagram post. (The competition ends March 29th, 2019 at 9pm Danish time). To be able to receive anything in life, you must be willing to give the same thing. It’s all connected. This concept, is also known as the concept of ‘Karma’ and has been around for thousand of years. The concept of giving and receiving has been around for thousand of years. It is also known as the concept ‘Karma‘ in some Eastern religions. Karma is the cycle of cause and effect – each action a person takes will affect him or her at some time in the future. This also applies to a person’s thoughts and words, and the actions other people take under that individual’s instructions. For me, it makes perfect sense. If you are kind to others, it is far more likely that others want to be kind to you as well. If you, on the other hand, treat others badly, odds are that this will come back to you at some point. By giving what you want to receive, you send out the vibration of whatever that is and then you become on the same vibrational level and will be ready to receive that. If you want more love in your life, then it does not help to be angry/sad about the lack of love you have, that will only give you more of that – lack of love. But by choosing to send out more love, you will also be receiving more love. So find out what it is you want more of in life – Love? Fun? Kindness? Generosity? And then think about how you can give those things to others. It is the flow of life – the circle of life – what you give, you will receive. If you want to dive deeper into this concept, I can recommend reading “Seven Spiritual Laws of Success” by Deepak Chopra, it is a beautiful little book, which explains this concept very well. Sometimes we can become very overwhelmed and feeling stressed by having too many things going on. 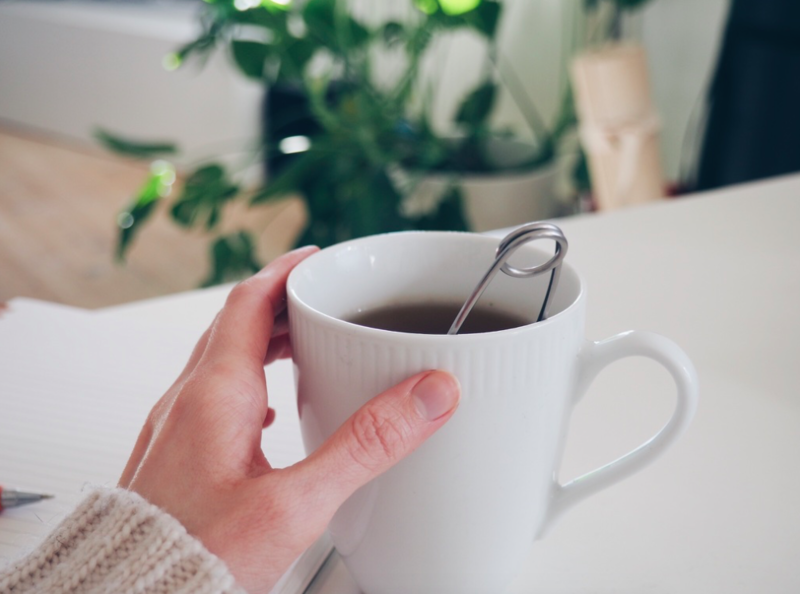 At these points in time, it can be very helpful to have some practices to help you relax & tune into yourself, which can help calm your mind and nervous system. 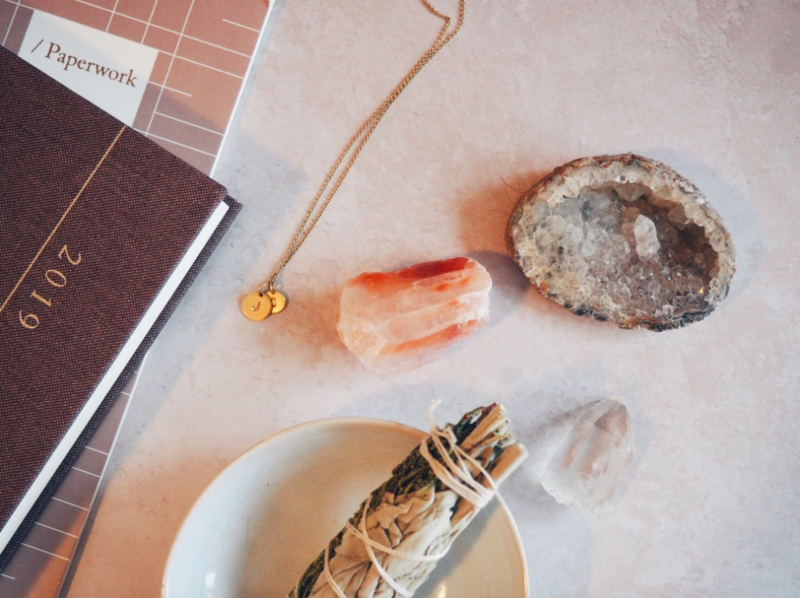 So today I want to share 3 of these practices with you, which I personally use to help to tune into myself, relax and calm my mind. Yoga is an amazing way to help you to tune into yourself. Sometimes we spend too much time in our head, worrying, stressing, overthinking etc. And then it can be so helpful to come from our heads and into our bodies instead. Yoga is a form of practice which can definitely help you to connect your mind and body, and to help you calm down and help you to tune more into yourself. If you want to calm down I can recommend some more restorative yoga, or Yin Yoga, which are very calming practices. However, sometimes moving your body some more can be exactly what you need, and when that is the case, you can look into trying some Hatha or Vinyasa yoga. One of the easiest ways to tune into yourself is to meditate. 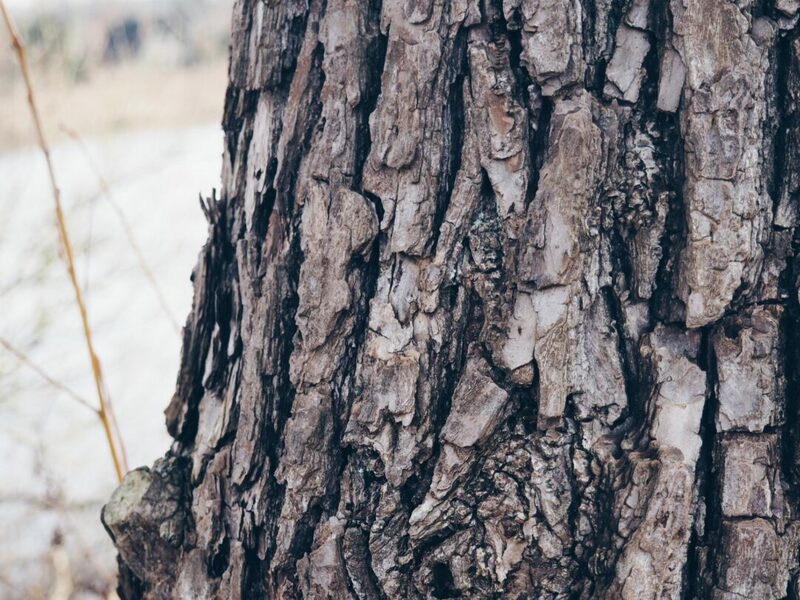 You can literally meditate wherever you are. All you need to do is to close your eyes and breathe and just let your thoughts come and go. Just focus on your breath, tune into yourself and relax. 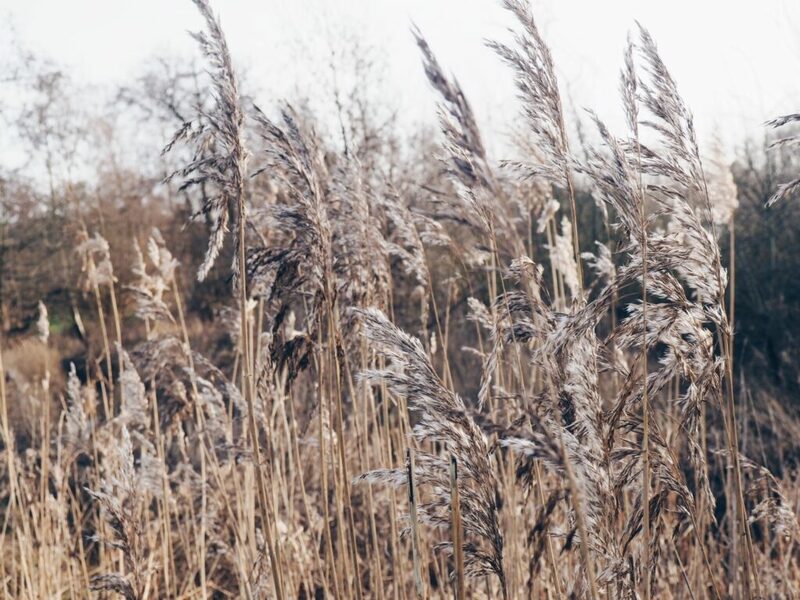 You can also practice mindfulness, which is being present wherever you are – whether that be doing the dishes, cleaning the house, driving in train or anything else. Just be present, breathe and be where you are. Sometimes, one of the best ways to relax and tune into yourself, is to go for a walk, or just be, in nature. Just feeling the sun on your skin, feeling the fresh air in your hair, listening to the birds sing, feeling the ground beneath you. Just getting grounded and being present in the now. 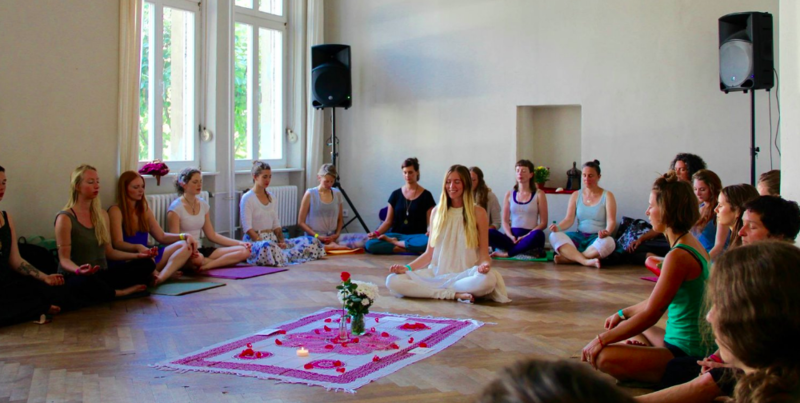 Do you have any practices that always help you to relax & tune into yourself? Feel free to share them in the comments, and let us all inspire each other. Here are some of the books that have changed my life. There are, of course, many books that have had an impact on my life, but these are definitely some of the books that have completely changed my life perspective for, what I personally think is, the better. 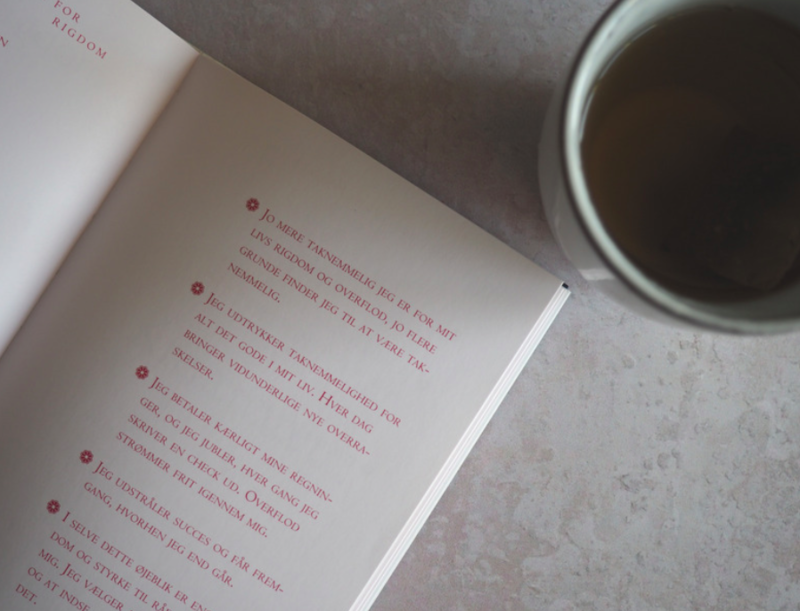 I hope this post can give you some new reading inspiration, and remember that if you choose to always stay open and to keep learning and growing – then wonderful things can happen! The Magic by Rhonda Byrne, was a book I discovered back in 2012 in England. It was a time in my life where I had lots of self doubt, and probably way to much doubts about myself and what I should do with my life. Then I came into a bookstore and this magical book just caught my attention. I remember first thinking “I want that!” and then my thoughts convinced me that “no, that is some sort of self-help book, you shouldn’t read that, that’s just stupid“, but after having walked around in the book store for a while I finally decided to buy it. I started reading it as soon as I got back to the hotel, and I was completely in love with it. This book taught me about Gratitude, the Law of Attraction, Manifestation, and changing your life perspective to focus on the positive things in life. It’s a very practical book, because it has small exercises that you should do each day, and I recommend to completely follow it and do all the exercises. It changed my life, and I’m forever grateful for having discovered this book at the right time in my life. 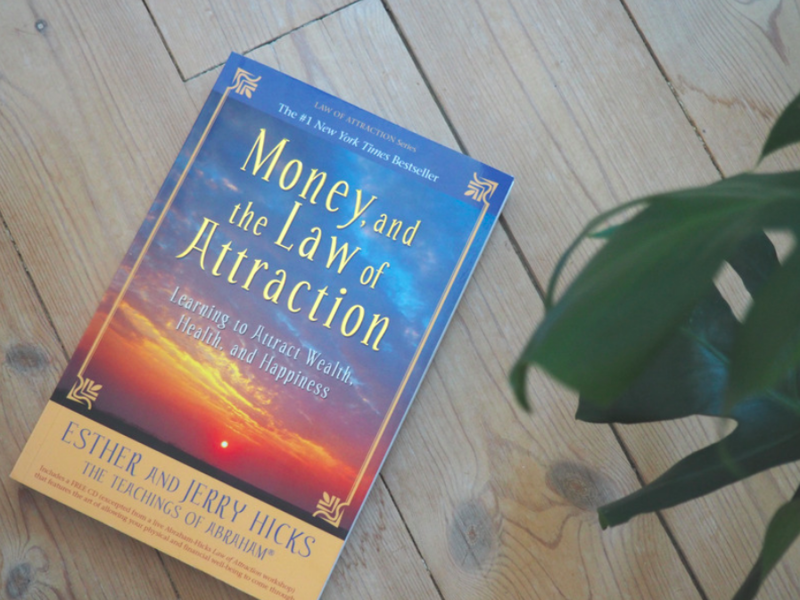 Money & The Law of Attraction by Esther & Jerry Hicks. I read this book recently, and it’s all about Manifestation & The Law of Attraction. It might be titled ‘money’, but this book is about so much more than just money. It’s about how to focus on the things that you WANT in life, and learning to attract these things into your life. It’s really good, and I probably wrote down half the book in my notebook while reading it, because there was just so much gold in it. 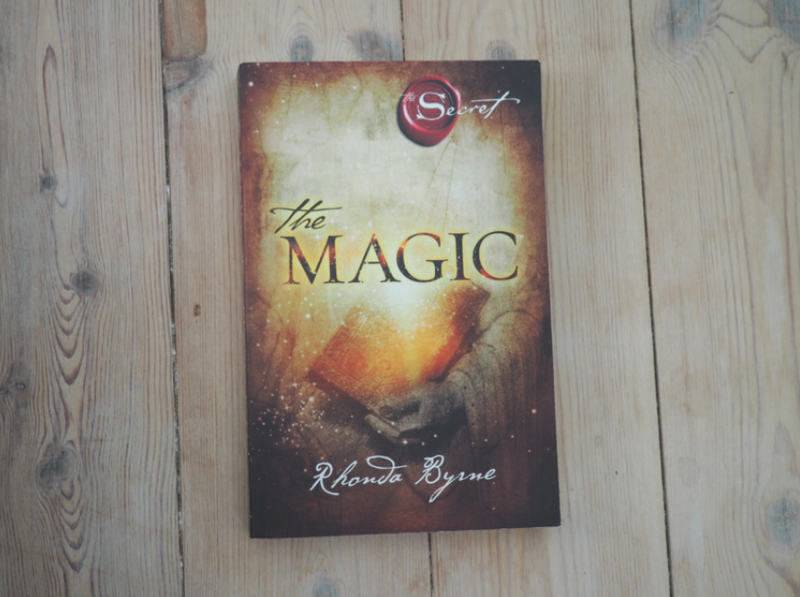 If you haven’t heard about Law of Attraction and Manifestation before, then I would recommend reading ‘The Magic‘ first as an introduction to the subject, and then read this book later in your life, when you feel ready to dive deeper into the topic. 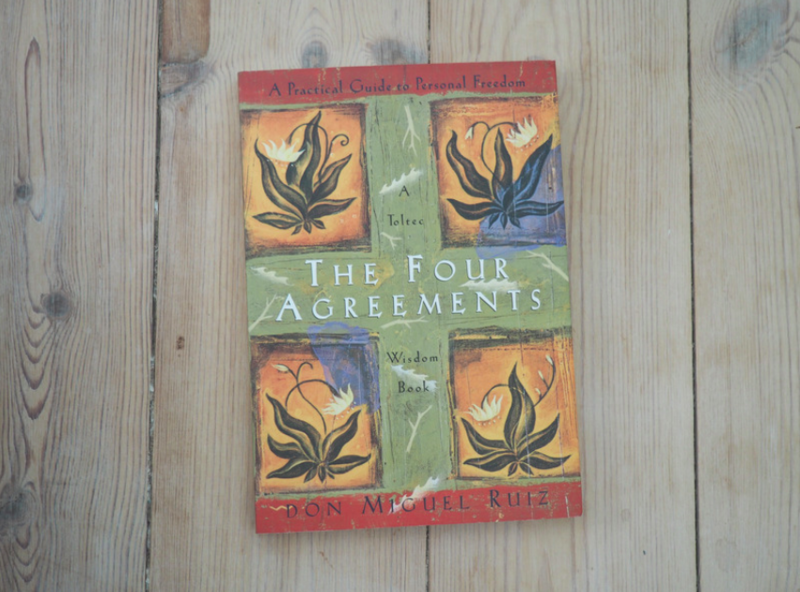 The Four Agreements by Don Miguel Ruiz is a tiny little book with SO much gold in it. These life advices are some that I wish would be taught to everybody in school, because wauw, these are beautiful. I don’t want to say too much about it, because I think you should experience reading it for yourself. But it is a wonderful little book, that I think everybody should read. The Seven Spiritual Laws of Success by Deepak Chopra is another little book which everybody on this Planet should read. It’s also about manifestation, and the flow of life. How in order to receive certain things in life, we must also be willing to give these things ourselves in order to keep the flow of life going. Just like with ‘The Four Agreements’, this is also a beautiful little book, so I don’t want to say too much about it, except for: read it, it’s worth it, it’s another one of those books that could be completely life changing for you. 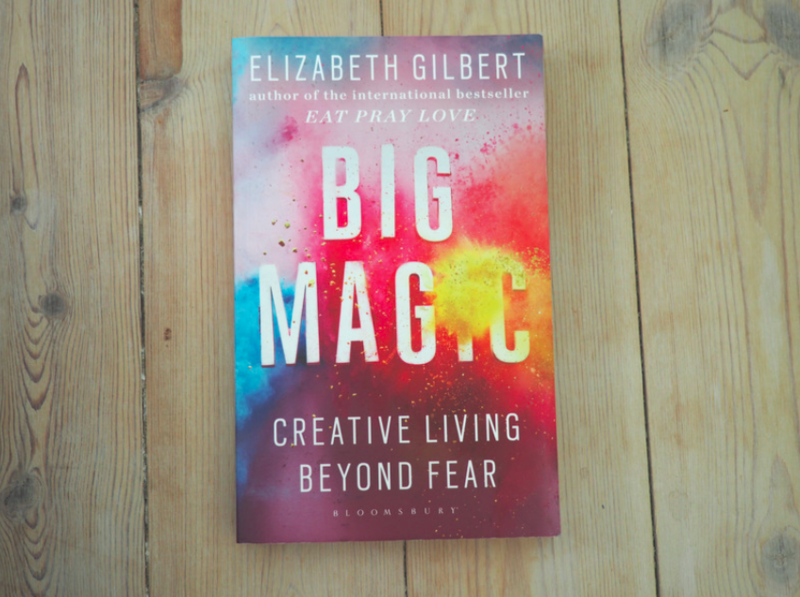 Big Magic by Elisabeth Gilbert is a book for creatives. Creatives of all kinds, whether you are a writer, painter, singer, and not only for ‘professional creatives’, but also for people who just practice being creative at home. It’s really inspirering, and gives you such a motivational spark to embrace curiosity and just start creating every time you feel that creative flow coming. It’s also about overcoming the fear we might have that stop us from creating, which is such a shame, because as she mentions in the book, creating shouldn’t just be for coming up with a final result which we can ‘give’ to others or sell, creating should be something we do for the sake of the experience of creating something, because that is such a wonderful thing. Think & Grow Rich by Napoleon Hill is probably one of the foregoers to ‘The Magic’ and ‘Money & The Law of Attraction’, because he spend 25 years of his life learning about what had made successful people successful. This book might be titled ‘think & grow rich’, but this book is about way more than just the financial aspect, it’s about learning a whole new way of thinking which can completely change your life. It’s about finding your purpose, creating plans, staying persistent and believing in it. Again, I don’t want to say too much, because I truly believe that this book should be experienced by reading. But I will say that it’s an amazing book! I have highlighted tons of sentences in the book, I recommended by dad to get it as well, and I also just bought 2 copies for 2 of my friends. This is definitely a game changer! The 5 Love Languages by Gary Chapman is a must-read for everybody. Not just for people wanting to improve their romantic relationship, but for everybody. This book can enhance your understanding of other people, and this can improve all your relationships. It’s about how there are 5 ‘love languages’ and that we all have a primary love language – meaning, a way that we receive and give love. But our partner might have another love language, and then miscommunication can arise as we ‘show and give’ our love in different ways and then the love might not be received by the other person, as this is not their primary love language. So if we can learn our closest ones love languages, then we can learn to ‘give’ love to them in a way that they can receive, which will improve our relationships. 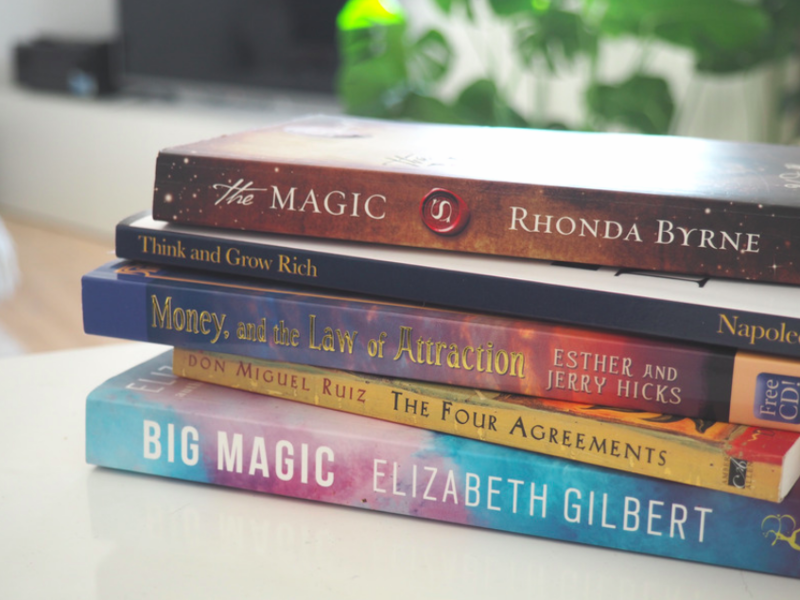 These were the books that have been completely life-changing for me and my life. I would love to know which books have been life changing for your life? I’ve gotten really into reading tons of books lately, and I’m already on book 5 out of my goal of 20 books for the year, which just feels so great! I feel like I’m learning and evolving all the time! 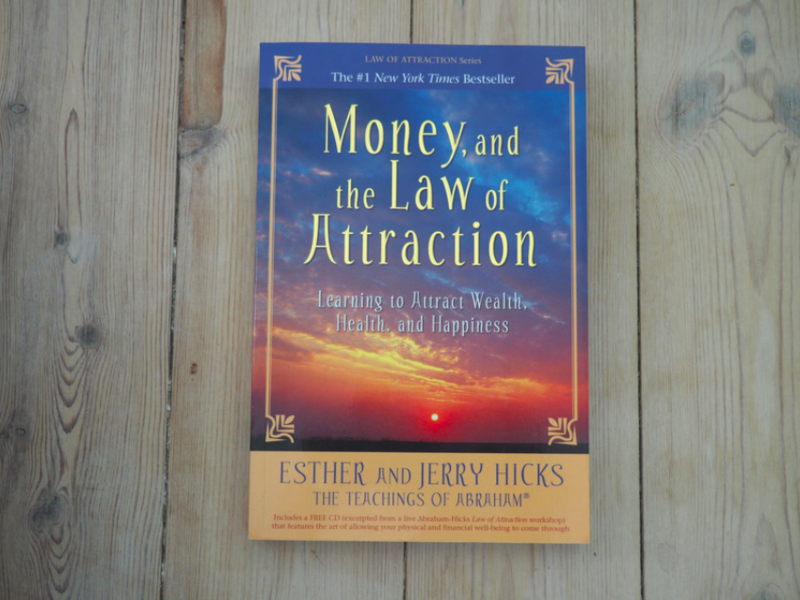 This time I want to recommend you the book ‘Money & The Law of Attraction‘ by Esther & Jerry Hicks. If you are into Law of Attraction and Manifestation, then this is a book for you! If you haven’t heard about the concept ‘The Law of Attraction‘ before, then I definitely recommend to start out with reading the book ‘The Magic‘ by Rhonda Byrne first. This is a very good beginner book to get a grasp around the concept. This concept has changed my entire life view, and I’m beyond grateful for having discovered this way of looking at life. 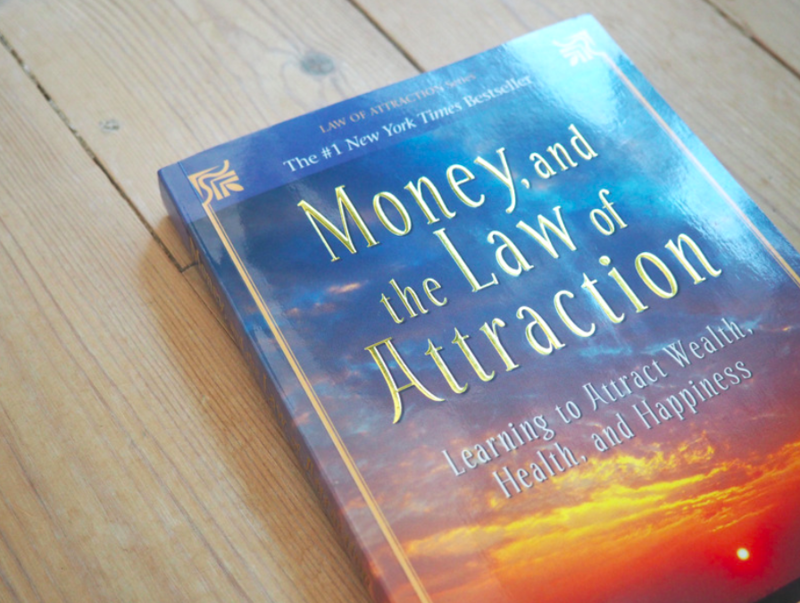 This book, ‘Money & The Law of Attraction‘ is the next level. It’s so good and it has many practical advices, and many repetitions as well to really make you to understand the fundamental principles of Manifestation and Law of Attraction. Even though the book is titled ‘Money & The Law of Attraction‘, it’s not just about money, it’s about how to Attract all things in life, in all areas of your life – career, relationships, health – it is about how to get an Abundant life. I will definitely recommend this book to everyone who is into this topic, and if you have never heard about all of this before but want to learn about it, start out by reading ‘The Magic‘, and read this later on. Everything you bring into your life has energy and that will affect you and your life. Therefore, it is so important to become aware about what we surround ourselves with – who do we spend our time with? What job do we have? What food do we eat? I will share some of the ways in which what you bring into your life can affect you, and I hope this will make you see how much of an affect it can have upon your life – and how you can change it, if you want to live a different life from what you are currently living. 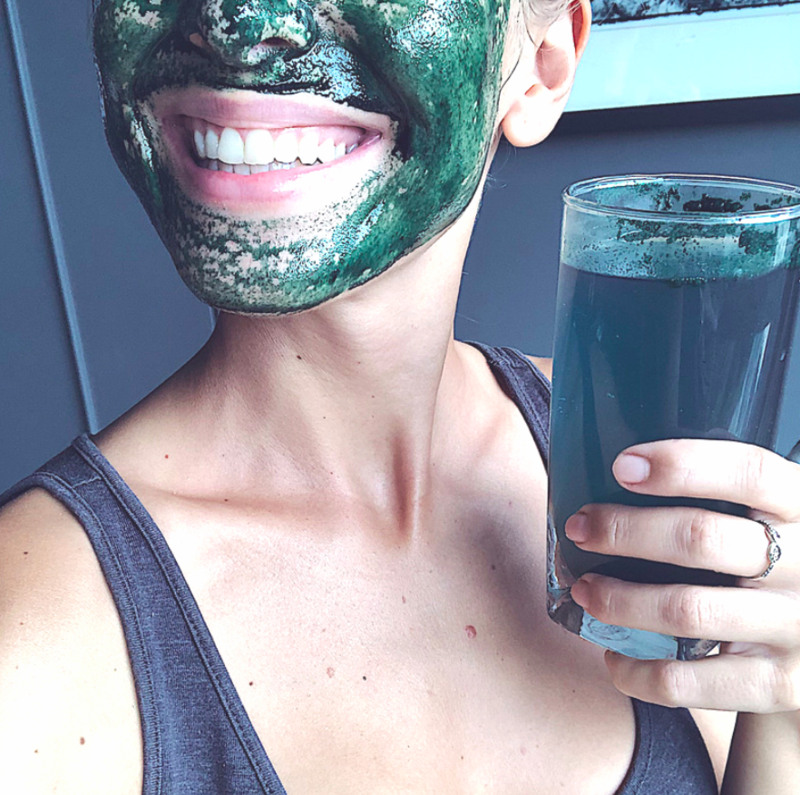 The food you eat can either be fresh and whole, like lots of vegetables, nuts, seeds, fruits, which contributes to fuel your body, your skin and your energy level. But, it can also be sugary, highly processed food with no nutritional value which actually does the opposite and drains you for energy. Become aware of what you eat. Of course, everything in life is about balance, and you should definitely treat yourself if you want a cake once in a while, but look at what you eat for the majority of the day. If you feel sluggish and tired all the time, try eating more vegetables and drink more water, and see what a difference that does to your body. We spend most of our lives on our jobs, so just think about if you go to your job almost every single day with the thought “oh no… not another day“, then you fill yourself up with negative energy for most of the week. I know that it might not always be possible to find a job that you love right away, so while you are on the hunt for a job that will excite you, try to use some gratitude and positive thoughts for the job you DO have at the moment. Because we can only get more, by being grateful for what we already have. Be grateful for the income you are getting, for your kind colleagues, etc. Find small things to be grateful for, and your days will become a lot better. Relationships are probably one of THE MOST important areas to look at in terms of what energy you bring into your life. Because if you have relationships (not only romantic ones, just as well friendships and family relations) where you spend the majority of your time together fighting, spending time with people who are always negative, criticising etc. then this will drain your energy. Figure out if you want this in your life, or start to search for other friendships/relationships. Of course we all have downtimes and I’m not saying just ‘cut off’ someone because they have a bad day, or are going through a rough time, but I think we all know the difference between people who are dealing with something for a while, and people who are negative all the time. Have you ever heard the saying: “You are the average of the 5 people you spend the most time with“? Look at who you are spending most of your time with. Are they people who you love, who inspire you, uplift you, who you genuinely enjoy spending time with? Music is another way to bring energy into your life. Whenever you listen to music, do you then listen to sad songs all the time? Or, do you listen to uplifting, positive soundtracks? This is such an easy switch to make to instantly lift your mood. Fx does Spotify have several different playlists for specific moods, try to choose a more uplifting and positive one in your daily life and see what a difference this makes to your mood. Life is simply too short to surround yourself with things that doesn’t make you happy. Seriously, do you sit at home and just feel like “eh..” over your room, apartment or house? There is really no need to. Start clearing up and throw out all of the things that doesn’t make you happy (for this little project I can recommend Marie Kondo’s book ‘The Life Changing Magic of Tidying Up“). Hereafter, everytime you bring something new into your life really think about if this is something that makes you happy and excited. Create a home and a create a feeling that inspires you and which makes you feel happy and at home. Mindset, another huge one, which is so important. If you have been following me for a while either here or on my Instagram, you know that I truly believe that if you“change your mind you can change your life“, and that you create your own reality. The thoughts you think, and the feelings you have are of such importance to the life you are living. No matter what happens to you, know that it is your choice how you want to respond to that situation. It’s all up to you! 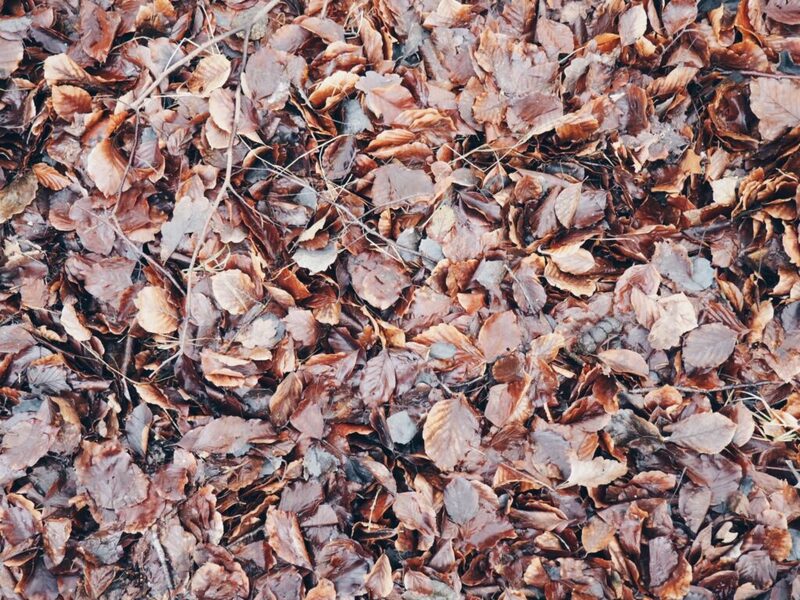 I hope this blogpost can help you see that there are SO many ways in which we bring energies into our lives, and that we can truly change our life by choosing what we led into our lives, whether that be people we spend time with, music we listen to, food we eat or the thoughts we think. I use positive affirmations to change my life, and it has definitely improved my life in various aspects. By choosing to look at the positive things in life and feeling it, your life completely changes in the contrary to if you focus on the negative things in life and the things that you ‘lack’. Positive affirmations, are words and sentences you can repeat to yourself, which can essentially change how you view life and thereby change your life for the better. If you haven’t heard about the ‘Law of Attraction’, then I will definitely recommend looking into that. In all its essence, it is that ‘like attract like’, and by focusing on what we want – that is what we get more of. If you focus on the things you don’t want – then that is what you’ll get more of. Hereby, you can use positive affirmations as a way to enhance your focus on the positive things and the things you want more of in life. 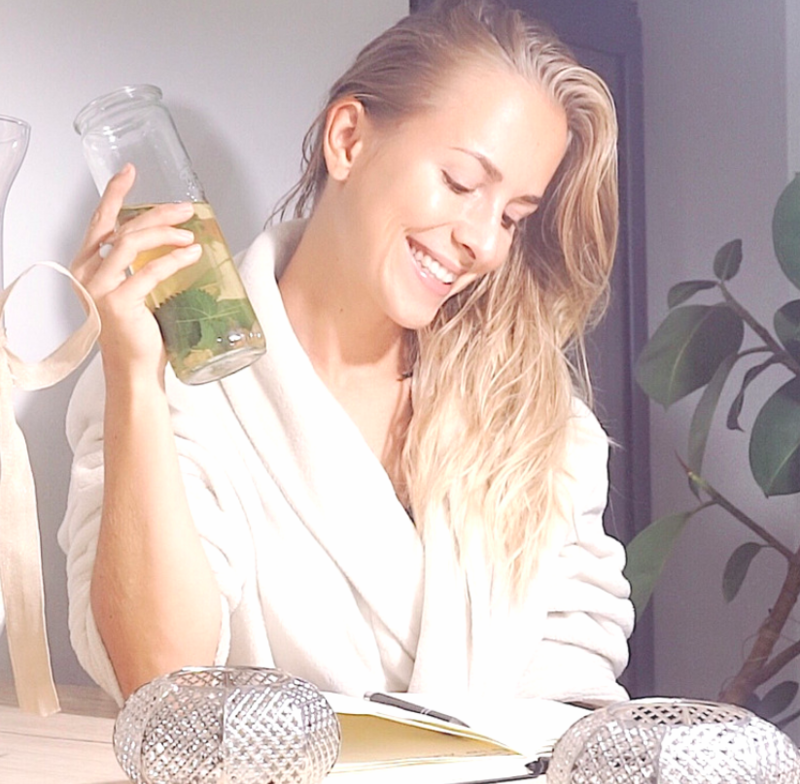 If you saw my blogpost about my ‘morning routine’, you will have noticed that I’m doing a small meditation/positive affirmation exercise each morning. I do it short after wakening, and in that way I start my day with some positive thoughts and feelings right away, which makes me feel amazing! 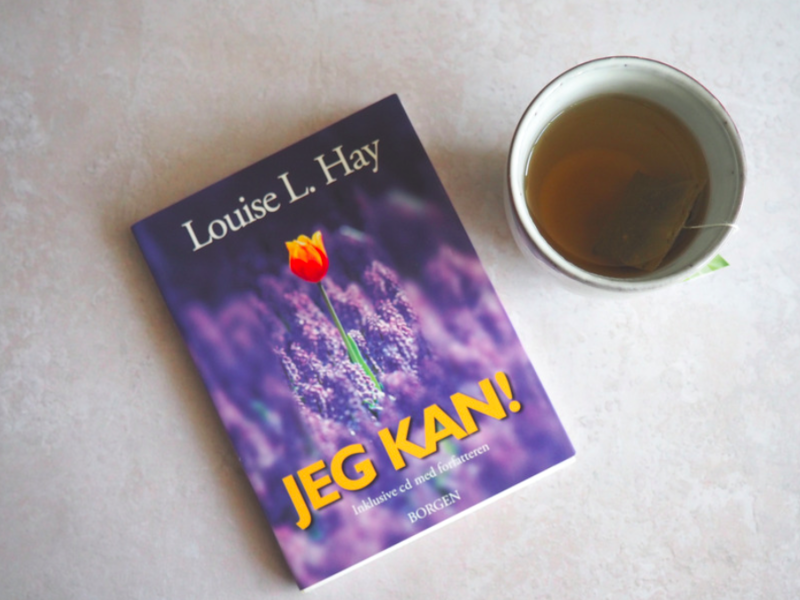 I personally use the ‘I can!’ book my Louise Hay, which is filled with affirmations for all kind of areas in your life, whether that be health, relationships, wealth, selflove. I choose some random site each morning, set my timer on my phone for 5 minutes and breathe and focus on these affirmations.